A coalition of agriculture groups plan a U.S.-Cuba ag business conference in November. The U.S.-Cuba Agriculture Business Conference, according to organizers, comes at a time when U.S. agriculture needs to expand into new markets. 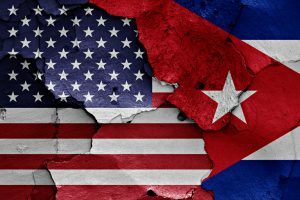 Cuba continues to depend on imports for 80 percent of its food supply, and the coalition says Congress is poised in the Farm Bill to allow USDA export promotion programs to be used in Cuba. Coalition chair Paul Johnson says the event “will help inform and connect the people who can work to make those things happen.” The conference offers participants a chance to meet ministers, leaders of agriculture industry, farmers, cooperatives and decision makers in Cuba’s newly formed government. The conference is planned for November 8-10 in Havana. Registration information is available at visit www.usagcoalition.com.